Kanelstrand: A Very Happee Giveaway! This giveaway is now closed. Thank you all for participating, the winner will be announced at the end of this post. I love positive people because they always manage to energize me and transfer their excitement to everyone. Today is one of those days, when you meet such a person. I am extremely happee to offer you participation in an amazing giveaway sponsored by a fellow photographer! In her etsy store Happee Monkee, Mable Tan offers glossy postcards and unique still life, landscape, food and travel photography, with the hope that they bring to you and your home joy and happiness. Her photos are printed on premium photo paper at a professional lab. Mable spends most of her time traveling with her husband. She has visited some of the most extraordinary places in the world - Japan, Paris, Sweden, Norway, Latvia, Moscow, Germany and many, many more. The photos you will see in the Happee Monkee store are about comfort food, about the buzz when we see a beautiful place, about flowers and animals that give us the fuzzies. In Mable's own words: "I want a photo to say: `I would like to be there and have a jolly good time.' I also want to tell everyone to dream of the extraordinary. There's so much in the world to see and do." Mable's excitement and joy transferred to you, didn't it! Today, she is giving away one gift certificate worth $30 to one of you, travelers, explorers and joyful people! With it you can choose photos or cards from her Happee Monkee etsy store that will brighten up your face every time you see them! It is possible to have up to 6 entries. The deadline to enter is Tuesday, June 21, 2011 at 23:00 CET. Comment date stamps must be recorded by 23:00 CET on Tuesday, June 21, 2011 to be eligible. 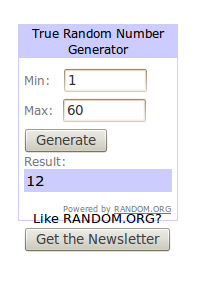 The winner's name will be drawn via random.org and will be announced shortly after in this post, so make sure you check back to see if you won! To wish you good luck, I will post Mable's favorite quote: To attract something you want, become as joyful as you think that thing would make you. The joy, not the thing, is the point. Isn't it amazing how the prizes always miraculously go to the people who would really appreciate them! Hearted the shop (BLehner) and my fav moment must be reading a good book! 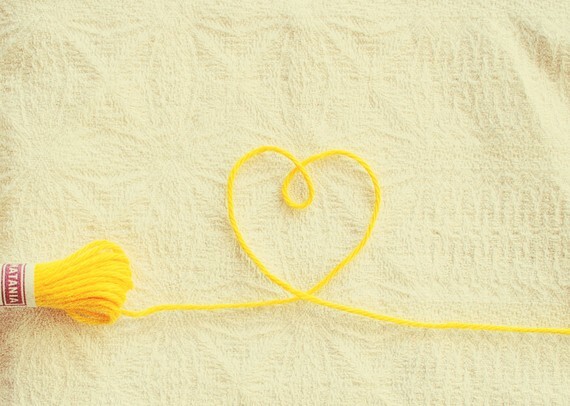 I love the yarn heart! i dont have an etsy, but i am already following u via gfc (user--rf)!! my favorite thing in life is when my puppy comes up to me and stares at me with he rbig, sweet, eyes. I love Mabel's macaroons... It has always been a secret treat of mine. My favorite moment is when my eight year old daughter discovered macaroons. The look on her face was PURE bliss. Thanks for this chance to enter! I hearted Mabel's shop and a couple of items too! So many favorite moments, but I love hearing my granddaughter laugh. and hearing a baby's laugh is my favorite moment! My happee moment: I went travelling on my own, my first time overseas, on the other side of the world. I was sitting at a bus stop in London in summer and had a moment of realisation: that I was really truly happy. My love for travelling has not waned. Thanks, a really lovely giveaway! Favorite moment in life? That's a hard one. Perhaps sipping Chianti and eating fresh baked bread with the tastiest olive oil with my mom in Tuscany. hearted on etsy- username bokononist. One of my favorite moments was watching a meteor shower in Mt. Rainier National Park. All the tourists had left for the night, and some co-workers and I laid for hours outside watching the stars. I hearted Happy Monkee. My favorite moment in life was watching stars with my dad when I was a little girl--he knew all the constellations. I heart it and I follow you ow with Google Friend Connection!!!Thanks! I already heart Happee Monkee :) My fave is the Black Cows! I hearted the Etsy site! One of my favourite moments is walking along the beach when the tide is out! And I'm following you with google friend connect! I hearted her shop and one of my favorite moments was sitting on top of the Cliffs of Moher in Ireland. my best moment.... standing on top of the roof a tall building in Mumbai, India at night. my favorite moment is waking up at six in the morning and swimming, all alone, in the great, turqois, rippling Mediterranean Sea! i hearted the shop on etsy! one of my most precious moments was my wedding day.